2 Bedroom Flat For Sale in Sheffield for £160,000. We're delighted to offer for sale this stunning two bedroom apartment situated in one of Sheffield's most recognisable landmark buildings. The property on offer is one of only seven apartments in this outstanding development. I think it would be fair to say, you may struggle to find anything else quite like this! This first floor flat has been refurbished throughout including; new fitted kitchen with wooden work tops, fitted appliances, Victorian style bathrooms, large windows and wood flooring throughout. 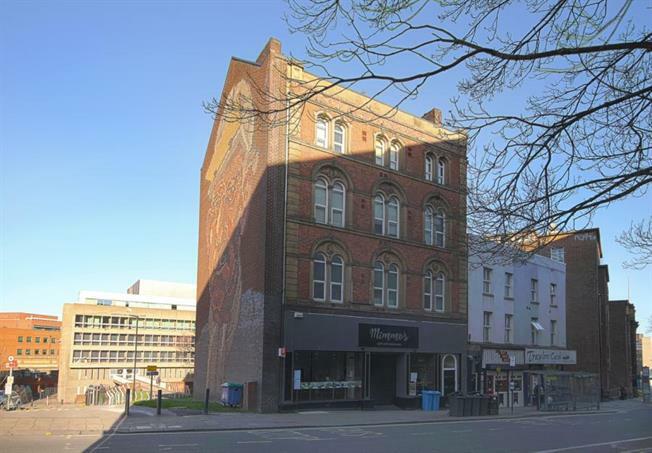 The building is located on Castle Street, close walking distance to many amenities including; shops, bars, restaurants and various modes of public transport. You're also within close walking distance of the Sheffield Hallam University. The property is currently being used as a B&B, and will be available as vacant possession, chain free. If you're looking for City Living, and some real character to your apartment, this could be the perfect opportunity. Likewise, with the location of the building this could make a valuable asset to your investment portfolio. Viewing is highly recommended to appreciate the stunning apartment we have on offer. Property briefly comprises of; entrance hallway, open plan lounge and kitchen area, master bedroom with ensuite, second bedroom, and main bathroom.